All credits for the textures goes to Qarl for first creating QTP and to Bomret with dev_akm who created this pack. QTP3R finally on the Nexus! This is version 1.0 with the 1.3 patch and fixes included. It was merged, including the original readme files because many people didn't download the separate patch. Included in this version are PYFFI Optimized QTP3 Meshes - Fixed. 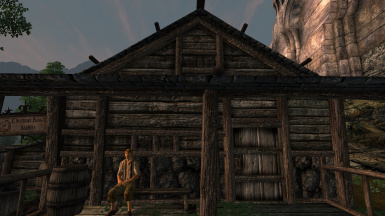 Most of the textures are 1K (I don't recommend using larger textures anyway, no matter your hardware, as Oblivion is not optimised for modern hardware - if you use overlarge textures and many mods, especially mods that add new NPCs OR/AND new objects, your FPS will go down significantly). 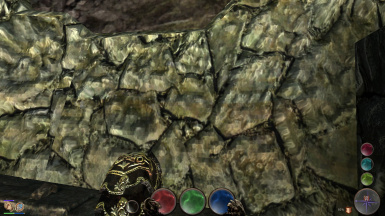 Be sure to set textures to Large from the game menu. If you want to install manually: extract "textures" and "meshes" folders to some temporary folder and move them to your \Oblivion\Data\ folder and use one of the various Archive Invalidation methods (search for keywords: archive invalidation oblivion). EngineBugFixes is also highly recommended for stability. 4GB Ram Patcher is also recommended for stability (if you have at least 4GB of RAM). 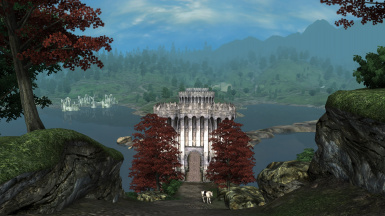 Oblivion Reloaded is also recommended for stability and graphical enhancements. 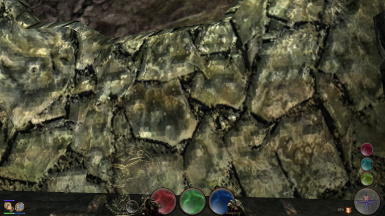 Don't turn on POM shader, as QTP3 is already parallaxed. All credits for the textures goes to Qarl for first creating QTP and to Bomret with dev_akm who further modified the textures. I'm just the uploader (with Bomret's and dev_akm's blessing:). 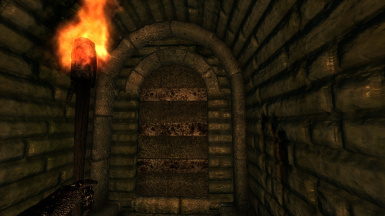 With the third version of his texture pack for Oblivion, Qarl set very high standards for the visual quality of games using high resolution textures. He showed possibilities that inspire other texture artists and even professional game designers can learn from just looking at his work. But his pack also set high demands on PC hardware. Even high-end systems still stutter with the enourmous load it demands. 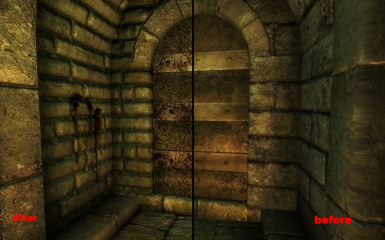 That's why dev_akm and me, Bomret, decided to try lowering the system requirements while still maintaining the unique, high-resolution, very detailed look of Qarl's textures. We have put almost every QTP3 texture through a very complicated and time-consuming process to archieve this goal -- all by hand (no automated scripts). We chose to make our decisions on a per-texture base while keeping the overall look and performance in mind at the same time. Most of the time was spent on the normal maps -- to regenerate them, edit them, and decide wether they should be reduced or not. 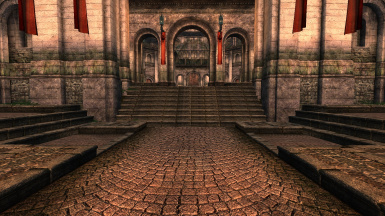 We tried to keep all of Qarl's unique features, such as tweaked mipmaps, etc. We think that we were able to get this thing right. It runs much smoother now, with only a very minimal loss in visual quality. The name "Redimized" means Reduced and Optimized. 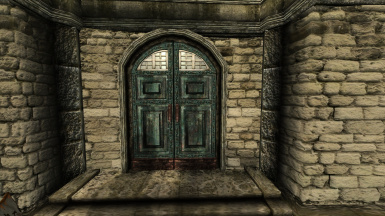 You don't need the original package, this version includes all the textures and meshes. The fixed meshes from the latest UOP-Compatibility Patch are already included. 256MB graphics card owners should have at least 2GB of RAM. It still will stutter in various places. We strongly recommend using Streamline or a similar mod to lessen the stress on your machine. 512MB card owners should have no problems with this version of QTP3. 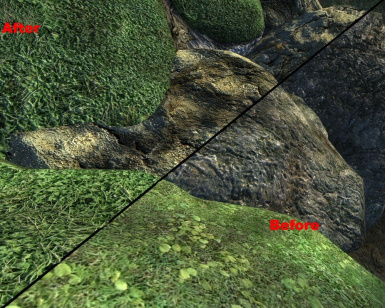 If it still is too much for your system, you probably have some other GPU-hogging mods running, such as AEVWD. In this case, you should try Bob Markinson's "QTP3 Reduced". WE STRONGLY RECOMMEND MAKING AN OMOD BECAUSE THERE ARE MANY FILES INCLUDED! Extract the included "textures" and "meshes" folders to a temporary folder and then move or copy them to your \Oblivion\Data\ folder and use one of the various archive invalidation methods. 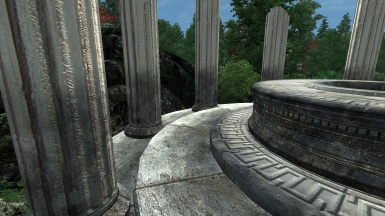 If you just want to test this package, we recommend creating an Omod with the Oblivion Mod Manager! If you have created an Omod, just Deactivate it. Otherwise there is really too much work to do. Compare the files in the package with the ones in you "Data" folder and subfolders and delete them there. 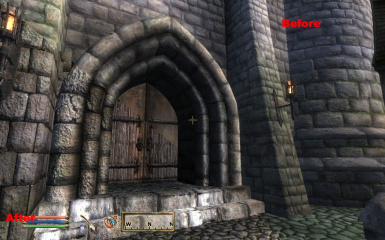 Next time you start Oblivion, it will use the stock textures again. 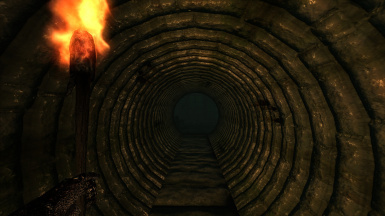 All mods that alter the Oblivion textures and meshes. It was a hell of a project to do this. We never expected it to take so long. We really hope you enjoy playing. If you find a bug, please contact us so we can fix it. 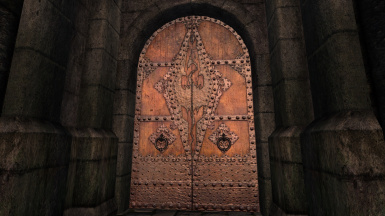 You can find us on the official forums at www.elderscrolls.com under the name Bomret and dev_akm. For german players, ask Bomret on the german forums of www.scharesoft.de or www.ei-der-zeit.com. Qarl for making his wonderful texture pack. And of course Bethesda for the game itself.